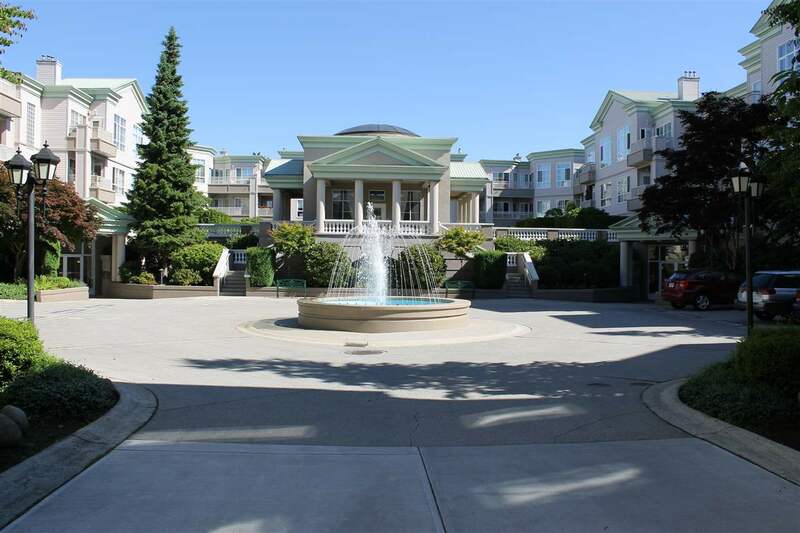 "Top floor 2 bedroom unit in "REGENT'S GATE", Richmond's Premier Adult Oriented Complex! Fabulous, well run Gated Community which features great rec facilities and courtyard fountain. Worry free Complex has been upgraded over the years, is fully rainscreened and in great shape. This unit features 10' ceilings in living room, skylight, eating area in kitchen, and cool eastern exposure which overlooks the quiet courtyard and water fountain. Radiant hot water heat which is included in strata fees. Also included is City water and sewer, and of course the rec facilities. 2 full bathrooms, insuite laundry and gas fireplace. One parking stall, lots of guest parking. Please note age restriction of 19"